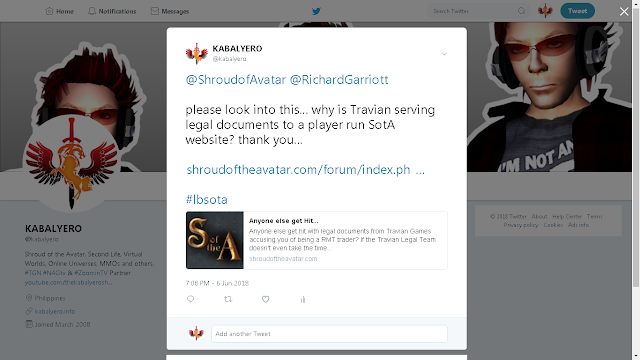 Travian Games Hit A Shroud Of The Avatar Fan Site With Legal Documents For RMT - KABALYERO - PLAY, BLOG & EARN! 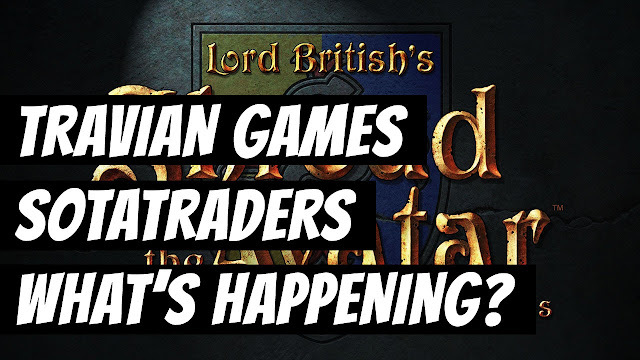 RMT or Real Money Trading in Shroud of the Avatar is allowed by the developer, Portalarium. So, why did Travian Games suddenly hit a Shroud of the Avatar Fan Site with Legal Documents for RMT? The Shroud of the Avatar Fan Site in question is SotATraders.com or simply SotATraders. 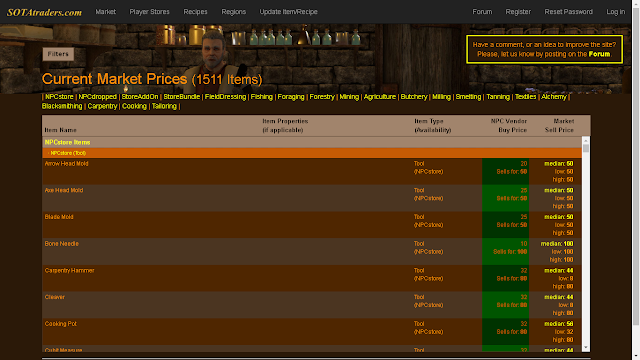 It's a website where you can list your items for sale in Shroud of the Avatar not for real money but in-game gold. For me, this is very confusing, why would Travian Games hit SotATraders with Legal Documents for RMT when the site is not even dealing in RMT? Also, even if SotATraders is dealing in RMT, RMT in Shroud of the Avatar is, as I've said earlier, allowed by the developer of the game and that is Portalarium. So, why is Travian Games doing this? Are they going to hit ShroudMarketplace or Market of the Avatar next? There are so many questions that need answering right now because it can affect the Shroud of the Avatar Community in general. Anyway, I've asked Shroud of the Avatar and Richard Garriott about this in Twitter but I'm not sure if they are going to give me a reply. There is also a Forum Thread that discusses this issue in the official Shroud of the Avatar forum but it was closed by a Travian Games Community Manager with a message saying they'll post a statement once everything is sorted out. So guys, that's it for this video and if you have any comments, questions or reactions about this SotATraders issue with Travian Games then please post them in the comments section below. Also, if you are lagging badly in any of your favorite online games then try using WTFast.